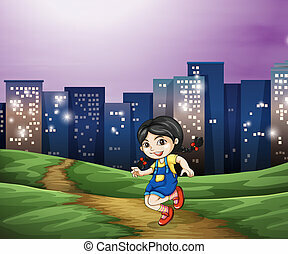 A young child across the tall buildings in the city. 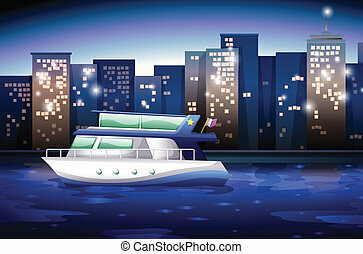 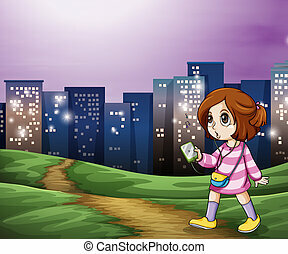 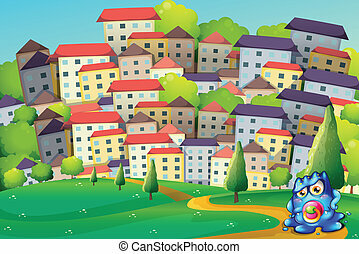 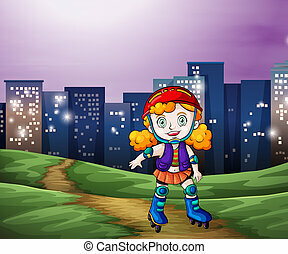 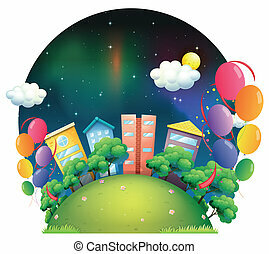 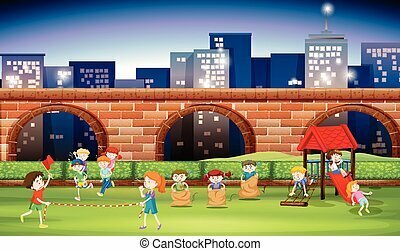 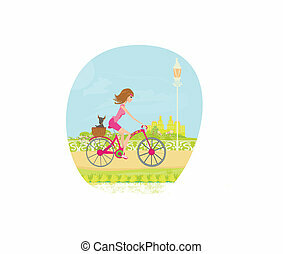 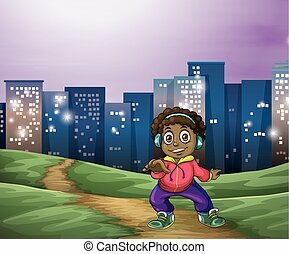 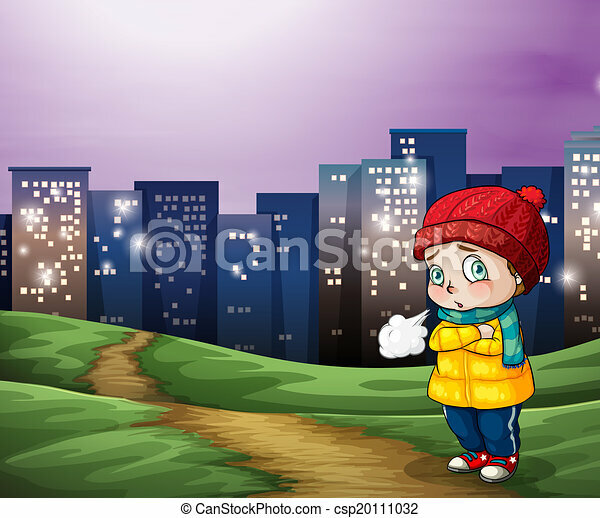 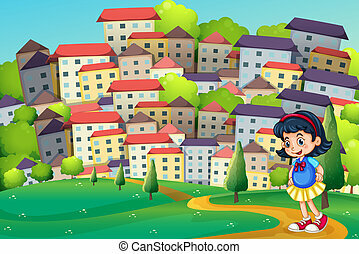 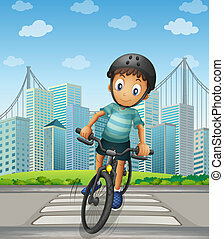 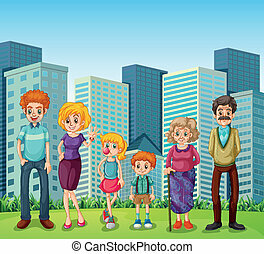 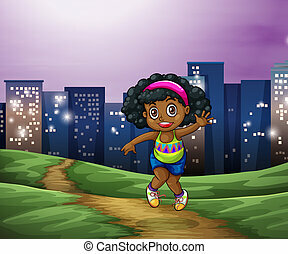 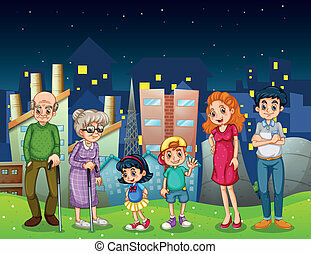 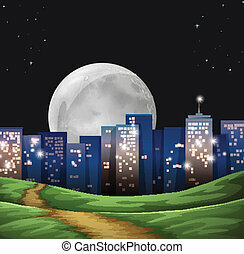 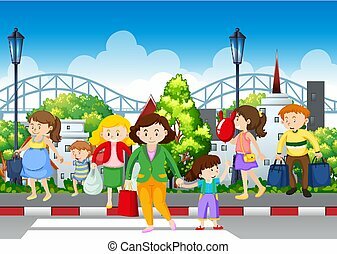 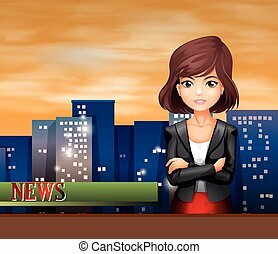 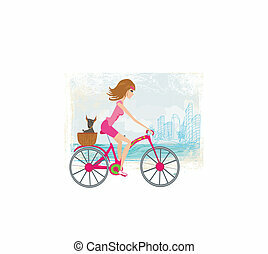 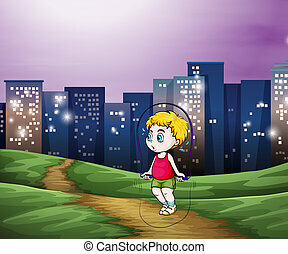 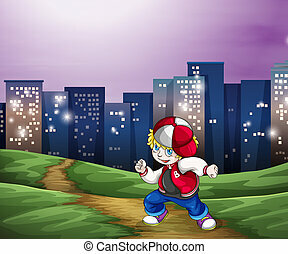 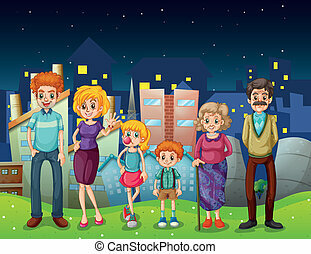 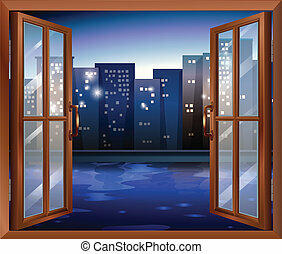 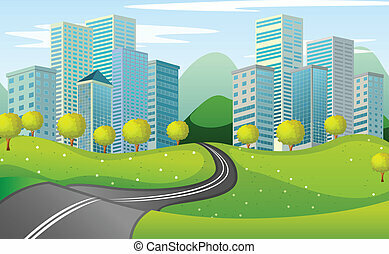 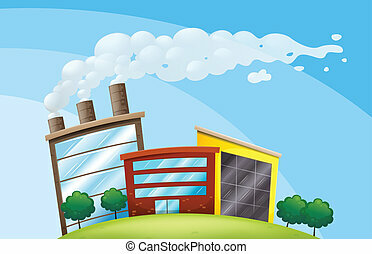 Illustration of a young child across the tall buildings in the city. 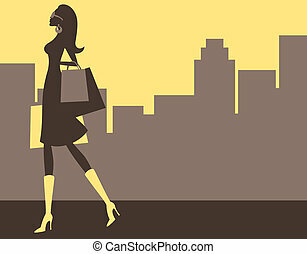 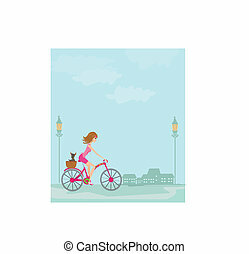 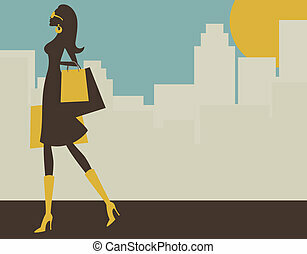 Illustration of a young elegant woman shopping in the big city.